30/12/2015 Failing Forward, Learning From FailureComments are off for this post. Is it possible for an organisation to fail forward within a culture of silence? Impact reporting has become more common over the past few years. This is partly due to increased pressure for transparency, accountability and donor requirements to prove a return on investment. One important benefit of measuring impact is that lessons learned can be used to generate improvement. However if organisations are to learn from failure (sometimes referred to as failing forward), the culture must support speaking out about mistakes rather than supporting a culture of silence. This means that admitting failure and reporting errors and instances when things go wrong becomes common place. For this to happen, speaking out in the environment needs to become normal accepted practice. Monitoring and evaluation in the development sector is closely aligned with Deming’s Plan, Do, Study, Act (PDSA) philosophy. The PDSA cycle is also known as Plan, Do, Check, Act (PDCA). The approach is closely aligned with the idea of failing forward. It was first used in the late 1980’s with Toyota to initiate continual improvement within Japanese car manufacturing. 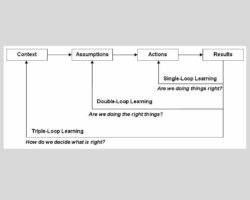 Deming’s PDSA cycle is a quality driven process. It recognises failure as being inevitable. The four phases of the PDSA cycle provide a structured approach of experimentation. It includes iterative testing of small changes introduced into a system. Changes are monitored and measured in a controlled manner. The solution is adjusted incrementally as data is analysed. All this takes place to ensure that continual organisational improvement and learning occurs. Failure happens, but in an intelligent way. It requires a mindset change, a paradigm shift. It requires a different relationship with the way that we think about failure. Yet changing preconceived ideas and stereotypes can be difficult. It takes time to learn and embed new patterns of habitual practice. 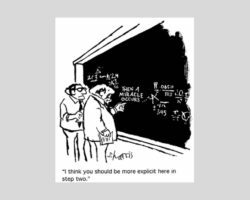 Ideally, what should happen with impact evaluation is that not only are successes (things that worked well) celebrated, but changes that did not go to plan – the so called mistakes and failures) are brought to the surface. This includes being honest about set backs that occurred and anticipated goals and objectives that were not met. 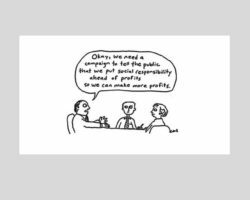 This means being open and inquiring into why and how the beneficiaries of a program or project experienced unintended consequences. The reality appears to be very difference. What actually happens in practice is that failure and unanticipated consequences are rarely brought to the surface. 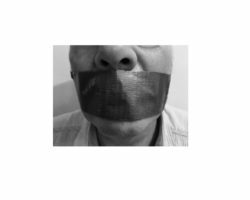 There is a normalised culture of silence within the development community – anything measured and perceived to be ‘unsuccessful’ is swept under the carpet. What is driving this Culture of Silence? Being open about failure and mistakes means taking a risk. It is a normal human reaction for people to fear failure. No one wants to put their head above the parapet and feel blamed. No one wants to feel embarrassment or shamed by speaking out about error due to their own failings or as a result of someone within their team. We fear the physical consequences associated with our mistakes. We dread the thought of being disciplined, losing face with ones peers, or worse still losing our job, our credibility, our career prospects. Organisations have different concerns; they fear loss of donor funding or program partners. Donors may feel loss of reputation. It is understandable that being silent about error and failure has become normalised. The Failure Report developed by Engineers Without Borders Canada. AdmittingFailure a website dedicated to fuelling conversations about failure, and changing the organisational mindset about the way that failure is perceived. Fail Forward a consultancy firm dedicated to helping organisations develop a useful relationship with failure so that they can benefit and learn from negative experiences, a process they have coined ‘intelligent failure’. It is synonymous with ‘learning how to learn’, how we re-wire our brains to reflect, learn and adapt to mistakes. We do not need to look far to discover evidence that may help us to develop an organisational atmosphere that supports learning from failure. Within the aviation, oil and gas and manufacturing industries, the notion of a ‘Just Culture’ has been around for many years as a mechanism to create accountability and to support openness about human error. The healthcare sector globally is currently grappling with the concept of learning from failure to improve the safety of patients harmed as a result of the care received from the hospital system. Healthcare is looking to the high-risk sectors for evidence of successful ways to change. In the not-for-profit sector, the Case Foundation appears to be driving the ‘Fearlessness Agenda’ as a way of supporting organisations to create meaningful social change. The Fearless Framework for Action has been developed to provide a road map to support organisational risk taking, encourage innovation and encourage the concept of failing productively. A similar movement is taking place within the UK National Health Service. NHS England recently set up the School For Healthcare Radicals, an online academy that mentors Health and Social Care staff to bring about change and quality improvement in hospitals. The modules teach healthcare practitioners how to challenge the status quo when they see a better way of providing safer care; how to disrupt conformance of poor practice; how to bring about a shift in perception. Practitioners are mentored in how to ‘Rock the Boat and Stay in it’. Changing cultures takes time. Mindset shifts need to be made; barriers to learning from failure need to be identified and openly discussed. Organisations need to put steps in place to overcome roadblocks and this may feel like an uphill struggle. This will be necessary in order for an organisation to re-learn or ‘re-boot’ old behaviour patterns. 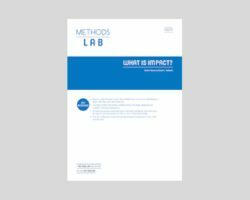 ← Impact Evaluation – Does It Matter To You?